Completing the award winning MackenzieTM Cabin range with an oversized 6 person and extremely spacious 8 person tent. A rugged tent structure with additional features such as self rolling windows and dark bedrooms. Rain protection is guaranteed with a large rain porch and rain skirts. The Mackenzie range consists of a range of tents with larger dimensions for a more comfortable stay, this 4 or 6 person tunnel tent is a user friendly proposition. The easy set-up design features 3 bedrooms and a separate living area, all with fully adjustable panoramic windows putting the user at one with their surroundings. 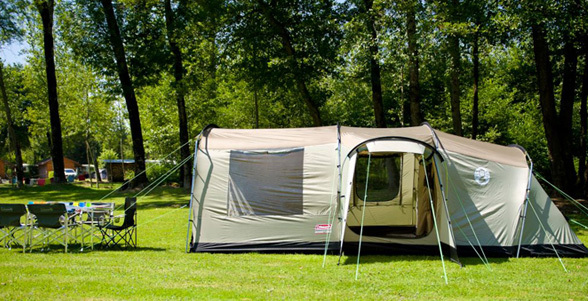 Also includes, extra internal height, an integrated groundsheet and improved ventilation.